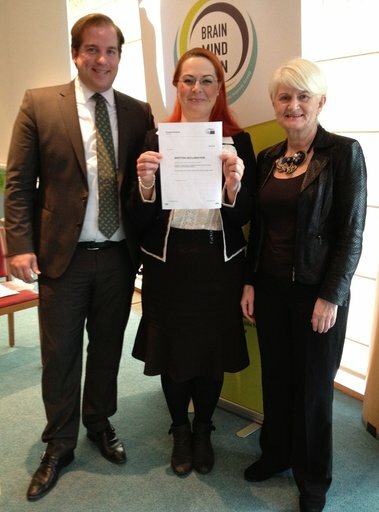 Join our campaign - write to your MP and ask to become Fibromyalgia Ambassador! We have written to all MPs and all Members of the House of Lords to ask them to become Fibromyalgia Ambassadors. We have already received a few positive responsaes - now we need your help to get more MPs on board! We have joined forces with UK Fibromyalgia (publishers of the Fibromyalgia Magazine) to spread the message to all our supporters to join our campaign and to write to their MPs. Please ask your MP to lobby for their support for the fibromyalgia cause. Tell them about your personal situation and how widespread fibromyalgia is within the UK, and that you are looking for their help in our campaign. We want to create Fibromyalgia Ambassadors and we would appreciate it if you would ask them to sign up to become one. Take the time to write your own letter, in your own words, and edit your letter for brevity and clarity. In Arthritis Today we read an interesting story about new research into prevention of widesprad chronic pain by using cognitive behavioural therapy (CBT). CBT has been proven effective in easing the symptoms of fibromyalgia. CBT is commonly called ''talking therapy'', which may be a bit misleading; it is a therapy designed patients to change their thoughts and outlook on life, including their condition and symptoms. CBT can be life changing. Anyone experiencing fibromyalgia and other chronic conditions can ask their GP to be reffered to CBT. We are delighted to announce that Janet Horton, a long-standing trustee of FMA UK, has been awarded a ‘’Highly Commended Volunteer’ recognition by Small Charities Coalition and Merkel UK for her outstanding volunteering work and commitment in all her voluntary roles, including as trustee and a volunteer for FMA UK. 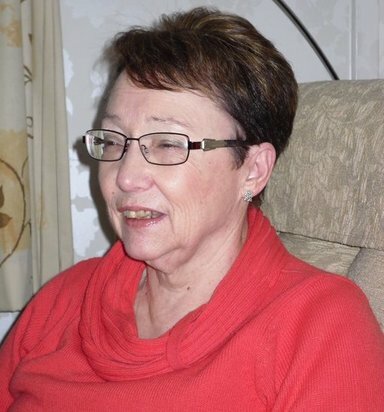 Janet has been working tirelessly in the fibromyalgia field for two decades despite living with this condition herself. She became trustee of Fibromyalgia Action UK in 1997 and has also been actively involved in many projects of the charity. Janet has been answering Benefits Helpline calls since 1993 and emails from desperate people in sometimes dramatic and emergency situations; she frequently does it during ‘’unsociable hours’’. FMA UK is represented on the Board of the European Network of Fibromyalgia Associations (ENFA), a coalition of national fibromyalgia organisations working together to influence change for fibromyalgia patients on the European and national levels. As part of ENFA, a representative of FMA UK attended a meeting in the European Parliament in Brussels of MEPs interest group on ‘’Brain, Mind and Pain’’ and a meeting of Pain Alliance Europe, a coalition of patient organisations from all European countries, lobbying for legislative changes on European and national levels to improve the quality of life for patients living with chronic pain. As a fibromyalgia sufferer, as well as being the office admin, I try every year to do some fundraising for the charity during awareness week in September. A couple of years ago, along with my daughter - I did a virtual tour of Orkney - adding up the distance I covered on treadmill & bike in the gym each week. Small amounts each week soon totalled up and I made it almost all the way round the Orkney mainland over the space of 6 months..
About this time last year, after the local gym Abbeymill Fitness (now Iconic) offered to raise funds for the charity it was agreed that they would enter runners into the Loch Ness Festival of Running Marathon, 10K and 5K. Excellent says me until I was asked if I wanted to do the 5k as part of their team.